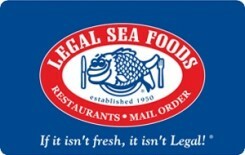 Whether shopping our seafood online or dining in one of our restaurants, Legal Sea Foods has long proven that a consistent, high quality dining experience never goes out of style. With over 40 varieties of fresh fish and shellfish available throughout the year, there’s no doubt why legions of fans have fallen for Legal hook, line and sinker. Restaurants are located along the Eastern Seaboard. For a complete list of restaurants or more information, please visit www.legalseafoods.com.